If you take a few reasonable steps to protect yourself, there’s no reason even a huge project can’t be a pleasant experience! 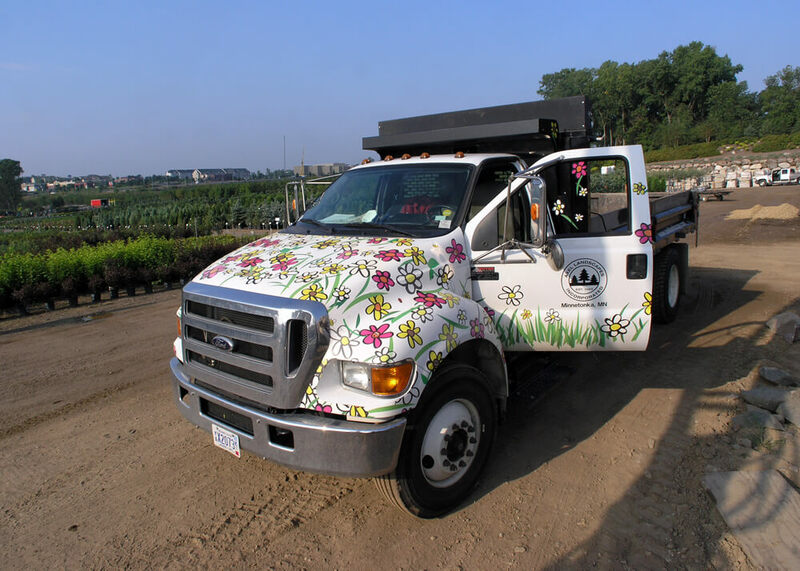 From 21+ years as a Minneapolis landscaping contractor, I’ve learned much that has helped me learn how to safely hire contractors myself. I need to hire subcontractors to work on our projects sometimes, and I also need to hire plumbers, electricians, drywallers, etc., for my own home from time to time. I hope this page will help you avoid some common mistakes and pitfalls and keep from ever being taken advantage of by unscrupulous people. How many years have you been in business under this name? Many contractors have been out of business numerous times under different names. You want to know whom is ultimately responsible for you and your investment. Who is your liability insurer and what are the dollar limits? Many contractors are either not insured, or not insured enough. You want them to have a minimum $1,000,000 liability policy. Axel Landscape has $3,000,000. Who/How many people will be at my house doing the work? The salesperson may tell you all the right things, but if the workers who do the installation aren’t any good, you’re not going to get solid craftsmanship. Do you pay Workers’ Compensation Insurance and Payroll Tax on your employees? Many many contractors don’t officially claim their employees to save themselves payroll tax and workmens comp. Unofficial employees have no recourse but to sue you if they are injured working at your house, and if they’re injured badly or killed, your homeowner’s insurance may not adequately cover the loss. Describe for me start to finish the process of installing my project. You want to know how long it will take, but more importantly you want to gauge the response to see if the contractor really knows what they’re doing. If they can’t easily describe all the stages of work involved, beware. You also want to know whether they will stay on your job or will come and go. Who are your biggest materials suppliers? You want to know if they use high-quality products in their installations. You can also get a great read on what kind of company they are by calling their suppliers and asking what they think of them. Does your quote include everything I need to get my project completed? Lots of contractors purposely leave certain things out of their price quote in order to seem lower and get the job from you. Then they hit you later with necessary additions which they knew about all along. What is/isn’t included in your warranty policy? In writing, you should know exactly how long they will warranty their work, and what factors limit or void their warranty. Why should I hire your company instead of someone else? This is their chance to show you that they care about you and your project. They might tell you about some special equipment they use which makes them better able to serve you. You want to hear them say that they understand exactly what you want and need and that they are sure they will provide you that at the price they quoted in writing. We like Top 10s… make sure to read the Top 10 Reasons to Hire Us. You want to approach any contractor with mild skepticism. You’re the buyer, so “beware.” There are plenty of wonderful contractors in every different trade out there. The tricky thing for the consumer is that there are more good salespeople than there are good contractors. Anyone can come into a meeting and tell you anything. Delivering on those promises can be a different story. They may sound very convincing, and on the surface the written quote you get may seem legit. You need to make sure you take the time to read everything they give you thoroughly so you understand exactly what they’re proposing. You want to see how they answer the questions listed above and see what your gut feeling is when you hear what they have to say. If something doesn’t feel quite right, or it seems too good to be true, or if they have a hard time answering your simple questions… be careful. Check out the experience of the company you are working with. There are people out there with a truck and a shovel that will try to take on projects that they may not have the experience or equipment to do properly. Their prices may be tempting – after all it doesn’t cost as much to maintain a little truck and a shovel, but before you go with a “good deal”, make sure you know what you are getting. Will the final product look as good as you expect? Will it hold up to a few winters of freeze-thaw cycles? Worksmanship, and also just using the right equipment can make the difference between that “good deal” being a successful installation that will last for years, or a big waste of money that will actually cost more to go back and repair the following years. A good contractor that has been in the business for a while should be happy to show you a portfolio of past work, and a list of references. Don’t feel bad about asking for this – we’re proud of our past work, and want to share it and make you feel confident and comfortable in working with us. Many contractors require 50% down payment at signing. You can try to negotiate this to protect your investment. My company requires 10% at contract signing, then 40% when we show up on site with materials. This way the client never has to put out a huge amount of money with nothing physical on site to prove that we’re coming to do what we said we would do. Even an honest, well-meaning contractor could run into some sort of trouble between your contract signing and your job start. If some disaster happens to them or their business before they get to you, you don’t want your money stuck with them. This way you’re also protected from the dishonest contractor who says he’ll be there in a week but then holds your 50% down payment hostage. The biggest mistake people make is not getting absolutely everything in writing. I should have that in bold, huge, red, letters. GET EVERYTHING IN WRITING! Everything? Yes, EVERYTHING! You should have every single thing they’re going to do at your house in writing, with pricing, in advance, before you sign up or give a down payment. You don’t want to rely on their memory or yours to figure out what your job included later on. Getting your quote in writing helps to make sure you and the contractor are expecting the same thing, and that the contractor is committed to complete all of the items written in the contract. Also, worst case scenario, if major problems do come about, that written contract is what you’ll need to sue them and get your money back. Without it, you have no recourse. Don’t be bashful about insisting on the detailed written quote. It protects the contractor as much as it protects you. They should be insisting themselves on giving you one. I personally never hire a company that won’t give me in writing exactly what they intend to do and exactly what it will cost me. When comparing quotes from different contractors, the biggest mistake people make is looking only at the bottom line. The bottom line price is meaningless if you don’t know everything they are and are not including. Some contractors follow the shady practice of purposely lowballing with vague quotes and then make it up later by charging you for things that should have been included in the first place. The only way you can protect yourself from this is to make sure you have a clear understanding of what is and isn’t included, and have everything in writing. Be very wary of what seems to be a lowball price. This is not like buying consumer items from a store where everyone is selling the exact same thing for different prices. There are infinite ways for contractors to cut corners, and you will spend far more money having problems corrected than you will spend having something done correctly the first time. You may think you’re getting a “good deal” today, but if the project starts falling apart… look out. Lowballers avoid their phones when people need warranty work. It’s very hard to get to an apples-to-apples comparison in contracting work, because different companies do things different ways and their quotes may look different for the same things. But it’s worth the time you put into it because it’s the only way to be sure you’re making a fair comparison and can hire the right contractor for the right reasons. If you go into the process of hiring a contractor and take a few reasonable steps to protect yourself, there’s no reason even a huge project can’t be a pleasant experience. It all depends on hiring the right company at a fair price that allows them to take care of you and make enough profit to stay in business and be there if you need them in the future. If you’re direct and thorough with the contractor you hire, you can expect them to be direct and thorough with you. Use your common sense and don’t be afraid to ask for more information when you need it. There are no bad questions to ask. If you have any suggestions to improve this document, please contact us. This is only the first draft. Thanks!